The heart of every Bhutanese is throbbing with excitement and joy at the moment as the nation comes together for the historic celebration of the auspicious 60th birth anniversary of His Majesty the Fourth Druk Gyalpo, Jigme Singye Wangchuck. All the cities and towns are brimming with life and music as various forms of artistic displays and decorations add extraordinary glamour to the existing charm of the natural landscape. People from different segments of the society and from different walks of life have come together with various initiatives to join the nation in celebrating such an auspicious occasion. This is the day we had been waiting for to offer our wishes and prayers for the long and peaceful life of our beloved king, the Fourth Druk Gyalpo and express our special gratitude for his selfless contributions to making Bhutan a safer place for all of us to live in for ages. 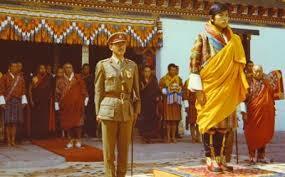 As Bhutanese, we have thousands of reasons to celebrate this historic moment tomorrow. 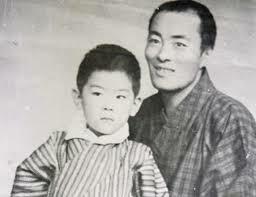 We all know that on 11th November 1955, Bhutan was blest with the wisest and extraordinary prince who was destined to steer the country through some of the most challenging times of the century. We have clear evidence in a Buddhist text that his birth was as per the prophecy of Guru Padma Sambhava during the 8th century and he himself has demonstrated his extraordinary wisdom and leadership since the day he had to succeed his father at a very young age. As soon as he ascended the throne on June 2, 1974 at the age of 19 as the world’s youngest king, he focused on sustainable socio-economic development of the country and promoting general wellbeing of the people. He constantly travelled to Dzongkhags and far-flung communities to interact with his people and study their living conditions. He granted land Kidu to the landless and provided appropriate support to all the needy people. Under his wise and far-sighted leadership and guidance, Bhutan has significantly transformed into a new nation bound together by mutual respect, social harmony and love among the king, government and citizens. Based on the principles of pursuing equitable sustainable socio-economic development through the promotion and preservation of cultures, promoting good governance, conservation of natural environment, encouraging greater public participation, promoting Gross National Happiness and promoting the concept of ‘One Nation, One People’, His Majesty the King took Bhutan in a new direction and gradually opened our door wide to the outside world as one of the happiest nations on Earth. Step-by-step, he introduced new policies and strategies to guide us forward into a brighter and safer future. One of the most important initiatives he took as soon as he came to the golden throne was the introduction of decentralization policy. Realizing the importance of engaging the public in the decision-making processes of the government and empowering them, the decentralization process was first initiated in 1981 with the establishment of Dzongkhag Yargay Tshogdu (DYT) which gave decision-making powers to the Dzongkhags. Ten years later, these powers were farther taken to Gewogs with the establishment of Gewog Yargay Tshogchung (GYT) which directly involved people at the grassroot level in the decision-making processes. The decentralization process took a new turn in 1998 when His Majesty the King decided to devolve all his powers to the Council of Ministers and he gradually began to withdraw from direct involvement in the day-to-day administration of the government. In 2001, His Majesty ordered that the Constitution of the Kingdom of Bhutan be drafted to prepare the country for healthy democracy. Because of this, we had a smooth transition to Parliamentary Democracy in 2008 with equally wise and visionary new king to continue the legacies of his great father. Besides, we also owe him special gratitude for strengthening our national security and ensuring our long-term wellbeing. The Southern Revolution of early 1990s and the encroachment of our territories by neighboring Indian militants in 2003 both posed a huge threat to our national security and sovereignty, yet His Majesty the King managed to safely move the country through the turmoil with his extraordinary courage and wisdom. He shocked the world in 2003 when he personally went to the battlefield with soldiers to flush out the Indian militants. This was something no kings have ever done in the world’s history. So on this special occasion, we would like to wish His Majesty the King a very happy 60th birthday. 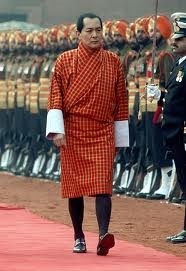 With great love and respect, we offer Your Majesty a peaceful and prosperous life ahead. We would like to rededicate ourselves to the service of Tsawa-Tsum in whatever small way we can, and live upto the noble expectations of our beloved monarchs in all the times to come. 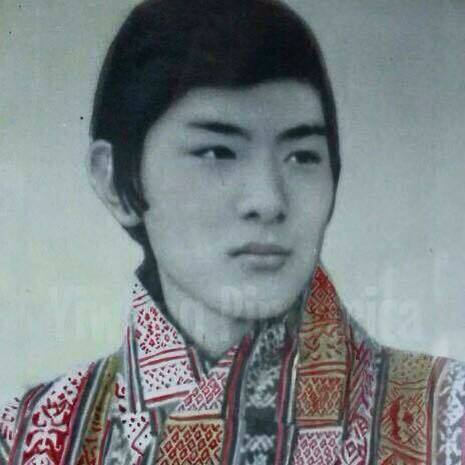 May the Guardian deities of Bhutan continue to bless the Land of Thunder Dragon and its people forever. 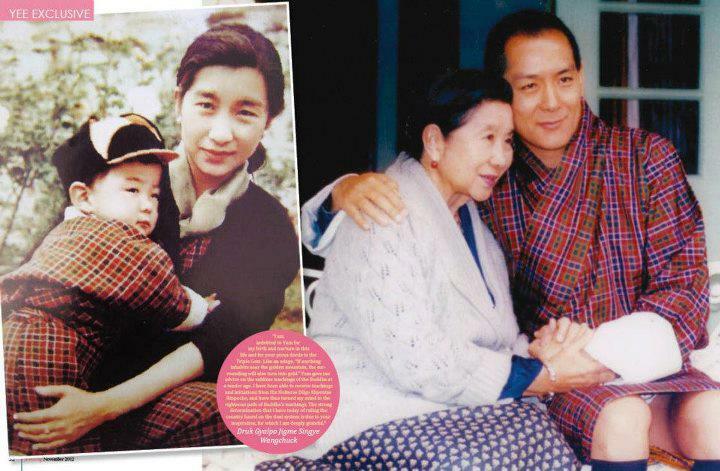 Long live our beloved king and the entire Royal Family! We are truly blest to be born in such a peaceful and beautiful country where we always have divine kings to guide us hand-in-hand. I don't remember from where I got the photos used above and hence, I am sorry I could not acknowledge the sources. I just found them in my hard-drive among other pictures. So, I don't own the copyright of the pictures used here. Therefore, they are used solely for this article and not for any other purpose. Long live your our great fourth.